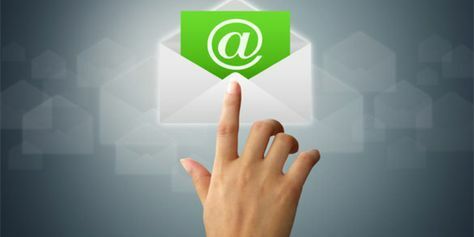 If you’re looking for the best way to create your own email domain address, then I strongly suggest you keep reading. Here on my blog, I’m going to share with you the domain system I’ve created after years of testing and tweaking that is cost-effective, reliable, and scalable. This system will work for business email, personal email, or for a professional email address to use on your resume or business cards. The company behind the domain email service I used since 2004 has been in business since 1997. They are a fortune 1000 company so you can count on this service being around for a long time. 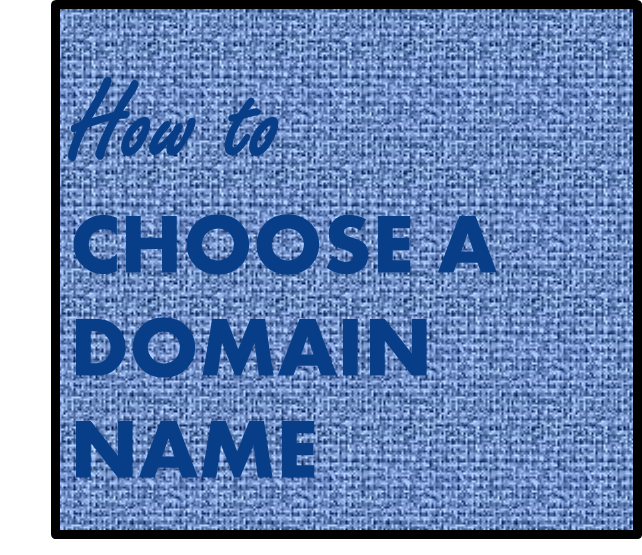 Using this step by step guide you can create your own email domain address in about an hour. I created this blog to share my system so that other people don’t have to waste all their time and money figuring out how to do this as I did. Using this system, you can create a domain email with or without hosting at an affordable price. Being slightly technical will help you in this process, but online support is available 24/7 to help you configure your email even if you are not technical. In 2004 I created my first domain email address. Before this, I was using the free email address from my internet service provider or ISP at Comcast. Unfortunately, I had to move for my job and couldn’t keep the Comcast email address. This move would be the fourth time I had to changed email service providers. Each time I switched, it was a real chore letting all my family and friends know about my new email address. (More than once some of them didn’t’ see my email about the change, and we lost touch for a while.) I also had to update my online accounts with my new email address like my bank, etc. Being in the Army at the time, I didn’t want to have to do this every time I got transferred, so I began researching options for a lifetime email address that I controlled. Since creating my first domain email address for personal use, I’ve created others for businesses and a professional name based email. I’ve also helped dozens of people create their email using my system. After spending dozens and dozens of hours researching and testing out a lot of different services and tweaking my system, I partnered with the best email service provider I found to provide others with the same services I use. The system I’m sharing with you here works for personal, professional, business or corporate use and is scalable from one to dozens of email addresses. A domain email created with this system is accessible from an iPhone or Android phone and also from a tablet, desktop or laptop. Using my system, you can create your email domain address in about an hour, so you don’t have to waste your time and services I did to figure this out. This blog provides step by step instructions for creating your email domain with or without hosting. You may be wondering why I am sharing this with you. After a lot of struggles figuring out how to get online and how to make my domain email system work, I thought other people would want to know how to do this also. I’ve used dozens of hosting services over the years. However, when I was first getting started, I felt I got taken advantage of by some hosting companies. I don’t want anyone to have to go through the same frustration I did, and I also wanted to provide a value-based service to keep some of the other guys from taking advantage of anyone else. I’ve learned over the years that some of these other service providers paying hundreds of dollars for a referral and the customers end up paying for this through poor service and empty promises. I’ll explain more about what happened to me in my story below. Over the years I’ve used all the different email plans available offered from the free forwarding feature to the unlimited storage plan. When I created my first domain email, I signed up for a package that cost $29.88 a year. This paid plan was a good option and provided online access to my email and of course storage. However, I later I found out that I could just forward all incoming emails through my domain email address straight to one of the free services like Gmail or Yahoo Mail. The forwarding only option is free with a domain purchase, but it does have its limitations. When using this free forwarding option, the incoming emails are not stored online. All emails are merely forwarded to my Gmail account. Also, when replying the from address will be the free email service address, not your domain email address. I used the free option for years, but now I am using the unlimited storage paid service. I signed up for the unlimited plan for several reasons. First, for some online accounts, their support desk wants you to contact them from your domain email address to verify you are the account owner, so I need to be able to send from my domain email address. Second, apparently due to all the hackers, most of the free online email services are blocking some real account users in an attempt to combat the abuse. I even got blocked on a Gmail account I used for the Google website analytics feature. Gmail apparently did this because I moved (again). I had the right password and used the recovery email address to put in a recovery pin they sent me, but I was still blocked. I had to contact their support, and fortunately, once I explained that I had move and gave more details about the account, my access was reinstated. I now use the unlimited domain email service with my personal email account and route all emails through this before forwarding to my Gmail account. This way I ever get blocked, I have a backup of all my historical emails, and I won’t get locked out of my other online accounts even if my Gmail gets blocked. I can’t imagine the headache it would be to get my email blocked. However, this is apparently occurring. Almost weekly I read posts by people in the forums I am on asking how to get their email back after they have been blocked. If you are not worried about getting locked out of your free email account and still want to use the free forwarding option, I’ll explain how the free option works in more detail in step 3 of this guide but basically, you don’t need to buy hosting for your domain for your domain email to work. Using the free forwarding option can save you three to ten dollars a month in hosting fees compared to other services. Of course, if you want a website on your domain you will still need hosting, but if you just want to forward your domain email then hosting is not required. This free service saved me a lot of money over the years, but as I mentioned, I’ve upgraded to a paid account again to ensure access to have a backup of all my email and ensure I don’t lose access to my other online accounts. So basically there are three levels of email available. First, the free forwarding option with a domain purchase. Second, three different stand-alone email plans that do not require domain hosting if you just want email and will not use your domain with a website (these are in addition to the domain purchase). Or three, the built-in emails plans that come with a hosting plan purchase. 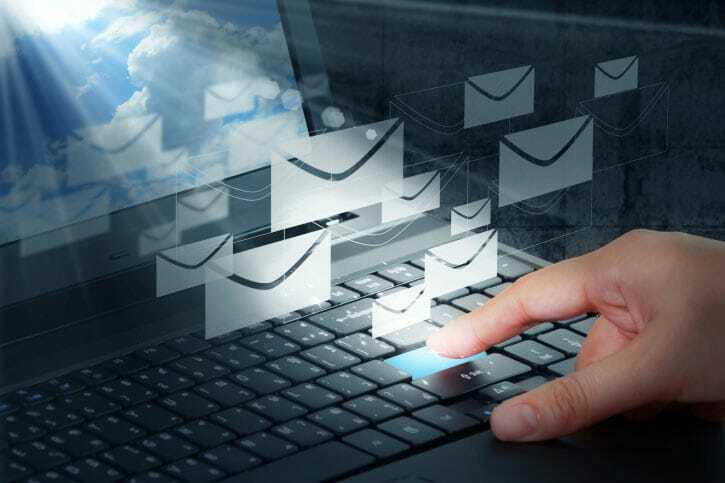 The stand along email plans are limited to one, five and 30 (with upgrade) inboxes respectively while the hosting package included email plans have 100, 500, or 1000 email inboxes available depending on the level of hosting purchased. And, just to be clear, these are true business email inboxes and not for bulk email. I encourage you to look around on the internet for a better deal. (If you find one, please let me know.) I don’t think you will. You can read more about my story and lessons learned below or if you are in a hurry to get your email domain click here now to go to step 1 of my 3 step guide. When I first started out online, the only option for internet service available in my area was dial-up telephone landline internet service. In those early years I first used AOL. I then switched to EarthLink and then to NetZero. In 2002, I switched to cable internet when Comcast became available where I lived. In 2004 the Army sent me reassignment orders to Korea. After switching internet service providers, or ISPs, so many times I had had enough of changing email addresses, so I bought my first personal domain based email address in 2004. In other words, I wanted a lifetime email address. I’ve had a personal email address ever since. In 2007, I started learning how to get online and make websites. I made some small sites like this one to share what I have learned over the years and to help people out, and I set up a custom domain based email address for each of them. Also, in 2013, I added a professional email address based on my first and last name. After I had my first domain email address for six years, I switched to a different custom domain name for my personal email for a number of reasons. Next, I am going to tell you why I changed the domain name used for my personal email and what lessons I learned over the years that will help you get the most out of your domain email. These lessons learned may save you the hundreds of dollars and dozens and dozens of hours in research and “redos” that learning them have cost me. The first custom domain name I purchased was http://ThisIsThePlace.info. This name had a special meaning to my ancestors, so I bought it to remind me of my roots. I kept this domain for about six years before changing hosting services and my custom domain name. I primarily use my personal email for things like signing up for online newsletters, etc., and I wanted to have a shorter email address when signing into my accounts. Granted my old domain name, ThisIsThePlace.info, isn’t super long, but typing this over and over again got old. Over the years, I have had 100’s of online accounts from Facebook, Myspace, Amazon, Twitter, and LinkedIn, to hosting accounts, and more. Before I got the RoboForm password program, typing out a long email address all the time got tedious after a while. I was able to find a short four character domain to use for my personal email. This short domain works well when signing up for online accounts, but when giving my email to other people verbally or over the phone, I sometimes use my name based domain email address to make it easier for others to understand what I’m saying. Also, when signing up for newsletters, etc., I learned that a few online services didn’t recognize an email address with the .info extension as a valid email address. Therefore when I got my new four character domain email address, it has a .org extension. The .org domain is one of the three top-level domains or TLDs used by individuals and businesses. The other two TLDs are .com and .net. Any of these three domain extensions will work for an email domain from my experience. After thinking about changing for a while, I decided it was worth it and took the plunge. To make sure I got all my online accounts switched over I kept both the old and new custom email addresses for over a year. In 2017 the four character domain I have in .org became available in .com, and I bought this one also. Apparently, some people are confused by a .org email address, and I end up having to repeat the dot org part several times when verbally giving out my email address. I am using the .com for new signups but will keep both email domains for now. Both of these are forwarded to my Gmail account for reasons I will explain later, but your domain email can be accessed online or forwarded to one of the free online accounts like Yahoo Mail, Hot Mail, or any other email service provider if you like in order to keep all your emails accessible in one location. If you are ready to get your email domain just Click Here to go to step 1 of my 3-step guide or keep going to read my lessons learned over the years of having my own domain email. 1. The Shorter the Domain Name You Purchase, the Better When It Comes to Texting, Tweeting and Just Typing Your Email In for Websites, Signing Up for Newsletters, etc. About the turn of the century, I did an exhaustive amount of research to determine the shortest domain you could purchase. At that time, almost every combination of three, four and five letters/numbers domains had been bought up. The good news for those trying to purchase a short domain is that after the economy crashed in 2008, quite a few four and five letter/number domains became available. I was able to get a four character domain relatively easily when I switched domain names for my personal domain email as mentioned previously. This shorter domain makes typing my email address much faster. A recent search showed that some four letter/number domains are still available which indicates there is a better chance overall that you can find a shorter domain name that will work for you. I offer a $99 service to find short domains. For more information, email me at Domainsearch @ dnh7 dot org (dnh7.org) if you are interested with “Domain Search Service” in the subject line. If you are serious about purchasing a four character domain name, contact me at FourCharacterDomains [@] dnh7 dot org. 2. Remember, Not All Extensions Are Created Equal. As I mentioned earlier, I have had hundreds of web accounts from PayPal to Amazon, to three different conference calling accounts for example. From my experience, the .info extension wasn’t always recognized as a valid email address when signing up for online accounts and newsletters. Therefore, you may want to consider staying with the .net, .com or .org extensions for your domain name when using it for a personal email address. Most people stay with the .com if they will be using their domain email for business use. Also, more people are familiar with the .com so if you will be giving your email to people verbally in person or over the phone; the .com is easier for people to understand from my experience. 3. Forwarding Your Email to One Account Makes Life Easier. I have all of my domain email addresses forwarded to my Gmail account. This provides several advantages. First, of course, is I can manage all my email from one login and don’t have to log in to all my domain email accounts every day. Second, using the domain email address for signing up for newsletters, etc. protects my Gmail address from spam. I’ll talk more about this in a minute. Third, Gmail automatically creates custom spam rules for your account based on what you label as spam. In addition to my personal and professional domain emails, I have a number of hobby blog sites like this one. Many of them have their own domain email address, and these are forwarded to my Gmail as well. If I need to send an email from any of my email addresses, I can do so right inside Gmail. Gmail has a feature called “Send Mail As.” You can access this feature from the Gmail settings and add any address to send from that you control and can send from using SMTP. Follow the directions inside Gmail to do this. Once you add and confirm this additional address, it is available as the “send from” email via a drop-down menu when composing an email. (For the service I use, you are limited to 250 messages sent per day per domain email, with an option to upgrade.) If this is sounding too technical for you, customer service is available 24/7 to help you find your SMTP details, or I also offer a done for you service at a reasonable cost. Just email me at DFYemailService @ dnh7 dor org. Once you add your domain email address, you will be able to select your sending email address from the “send from” drop-down box. 4. Use the “Catch All” Feature to Create Email Addresses on the Fly to Help Manage Spam. When configuring your inbox for your domain email, you can designate one email address as a “Catch All” Account. What this means is that you can make up an email address on the fly based on your domain name and it will still be delivered to your inbox. 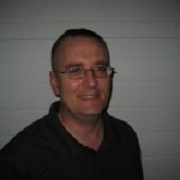 For example, Whateveryouwanthere@yourdomainname.com. In most cases when I sign up for an online account, I use a made-up email where the first part of the email name before the @ sign, is the name of the website. This way when I get an email, I can tell by looking at the email address it is sent to which website or company I gave this address. Using this technique, if a company sells my email address or spammers hack the website and get this email address and I start getting tons of spam, I can set up a filter/rule in Gmail to either delete any email sent to this address or add a label automatically to help me manage emails sent to this address. 5. Create An Alias In Gmail When Corresponding With Help Desks, Etc. 6. Don’t Let Your Inbox Fill Up. If you forward your custom email account to your Gmail account, there is one lesson I learned which you will want to watch out for unless you have the unlimited business account. After almost a year of running my domain email account, I stopped receiving my domain emails in my Gmail account. After some investigation, I found out that I had filled up the allotted online storage for my domain email account. Once the allotted storage is full, the domain email address will not receive any more emails. After deleting some emails in my webmail account (of course, I still had the carbon copies that were automatically forwarded to my Gmail account), emails sent to my custom domain email began forwarding to Gmail again just fine. Keeping an eye on this is important because if your domain email inbox is full, all emails sent to your full domain email box will “bounce” and you will not receive them, and there is no way to get them back. Depending on how much email you receive, you may want to purge your personal level and standard business mail inbox(s) monthly or, at least, quarterly to make sure you don’t use up all your allotted online storage as I did after a year. After that first glitch, everything worked just fine. I just clear out my custom email account periodically. A few years ago I decided I wanted to keep more of my emails in my webmail account as a backup. I upgraded from the personal email plan to the business level email plan with more storage space for my emails. With this plan, I was able to keep almost two years of back up email with just under 80,000 emails. (I get a lot of newsletters and stuff.) These results may vary depending on the average size of the emails you receive. As I mentioned earlier, I now have the unlimited email storage and feel it is worth the cost for my current needs. I delete a lot of emails from my Gmail account to keep it clean, but if I ever delete an email in my Gmail account and then later realize I need it, I can log in into my webmail account and retrieve the backup copy. 7. Turn Off Your Spam Filter If Forwarding Your Domain Email. It took me a while to figure this one out, but if you forward your custom domain email to another email account like Gmail or Yahoo Mail like I do you may want to turn off the spam filter in your webmail account. By turning off the spam filter in the custom domain webmail account, you let the Gmail, Yahoo, etc. spam filter weed out the real spam. If you leave the spam filter on in the custom email account, it may stop a legitimate email you were expecting. Then you will have to log into your custom domain webmail and check the spam folder. By turning off the spam filter in the custom domain email account, the Gmail or Yahoo Mail account spam filter will still filter these incoming messages, and there is no need to filter the messages twice, and it will save you from having to check your webmail spam folder all the time. 8. Find a Good Custom Domain Name Provider. I have tried a number of different hosting services over the years. The one I used before I created my re-seller service was purchased by another company. Once they were purchased, the great customer service they had, changed. I put up with this for a while, as I liked their control panel and other features. However, the last straw was when one of the domains I had configured to not automatically renew (because I didn’t want it anymore) was renewed and of course, my credit card was charged. Another hosting service I had tried before said they could install a script I purchased, but the script apparently wasn’t installed properly, and I could never reach anyone in the support section of the hosting company for help. This was a three hundred dollar mistake as I purchased the hosting for two years and then got stuck with a script I couldn’t use and no way to contact anyone to cancel my plan or get it fixed. This hosting company, by the way, was one you see positively reviewed on almost every hosting review site, so I trusted them. I later learned why they (and several others) are recommended by so many people apparently. It appears it is because these hosting companies are paying big commissions for referrals. Trusting these review sites was a big mistake on my part. This is another reason I created my re-seller site, so other people don’t have to have the same problems I had like this. You will always be able to reach a customer service rep 24/7 for my reseller service at InternetDirectSolutions.com, and if you need a refund, there is no problem. Just check the site for the current refund policy. 9. Buying a Domain Name Over the Phone. The only problem I had with the help desk service I used for my reseller account at InternetDirectSolutions.com was when I purchased a domain over the phone one time. The person on the phone apparently didn’t understand what I said and spelled the domain name wrong. I just had to laugh and chalk it up to another lesson learned. I haven’t bought a domain over the phone since. I use the online domain search form at InternetDirectSolutions.com to check for domain availability and purchase my domains. Now that I have shared with you the lessons I’ve learned from owning my domain email since 2004, on the next page I am going to share with you my Step by Step Guide to getting your email domain. Click here now to go to step 1. P.S. I’m sure you could figure out how to do all of this on your own if you wanted to. I did, but it cost me hundreds of dollars in lessons learned and probably close to 100 hours when you calculate all the time I spent researching domain and hosting services, trying out different configurations for my domain email service to figure out what works consistently and predictably and tweaking my email system over the years. P.S.S. One more thing. You can invest your time and money figuring this out on your own if you want, or you can stop wasting your time and follow my 3-step guide and get something that works. To get started with your own custom email domain, click here now to go to step 1.